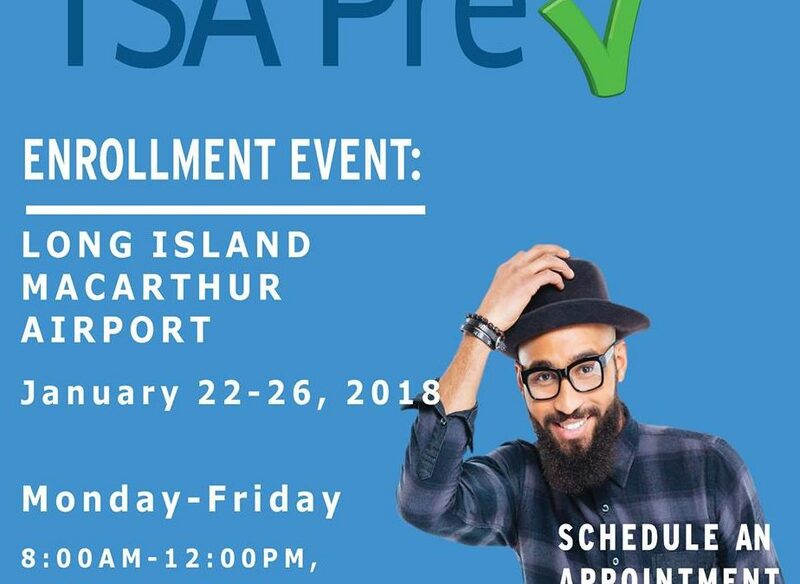 The convenient enrollment area is located pre-security in the MacArthur Airport Art Gallery at 100 Arrival Ave, Ronkonkoma, NY. Applicants do not need to be ticketed passengers. To participate in this enrollment opportunity, travelers should make an appointment online and pre-enroll by clicking here. It typically only takes 10 minutes to pre-enroll. 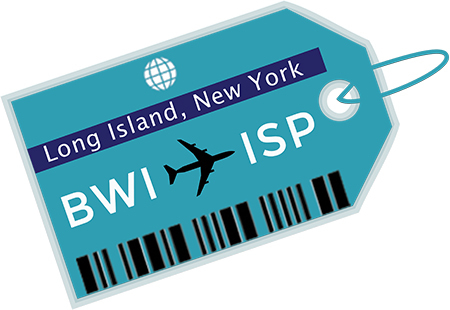 After completing the pre-enrollment steps, applicants type in the location “Ronkonkoma, N.Y.” and click on the search button to select Long Island MacArthur Airport as the enrollment site. Applicants can select an appointment time using the drop down menu to choose a date and time. The drop-down menu will show the first available time available, but individuals can choose a different date and/or time using that drop-down menu. Walk-ins are also welcome. “While our security lines at ISP are relatively fast, enrolling in TSA Precheck will provide convenience at airports nationwide,” said Airport Commissioner Shelley LaRose-Arken, “This expedited screening program enables identified low-risk air travelers to enjoy a more efficient screening experience,” she added. TSA PreCheck travelers do not need to remove shoes, 3-1-1- liquids, laptops, light outerwear or belts. Those interested in the program will need to bring their online application and appointment confirmation along with proof of identity and U.S. citizen documentation to the mobile enrollment center at MacArthur Airport during the designated time period. The fee for the TSA PreCheck is $85. “The application process is easy and TSA PreCheck is valid for five years,” LaRose-Arken explained. “It is an excellent opportunity for our local customers to sign-up for the program close to home,” she added. “MacArthur Airport is known for its convenience and efficient security lines. TSA PreCheck will enable our customers to get their gates quicker and easier than ever at over 200 airports nationwide. This is a welcome benefit and we are delighted to again offer a mobile enrollment opportunity at ISP,” explained Town of Islip Supervisor, Angie Carpenter.